how many more days we have left in the Big Cats. Preschoolers don't want school to end. 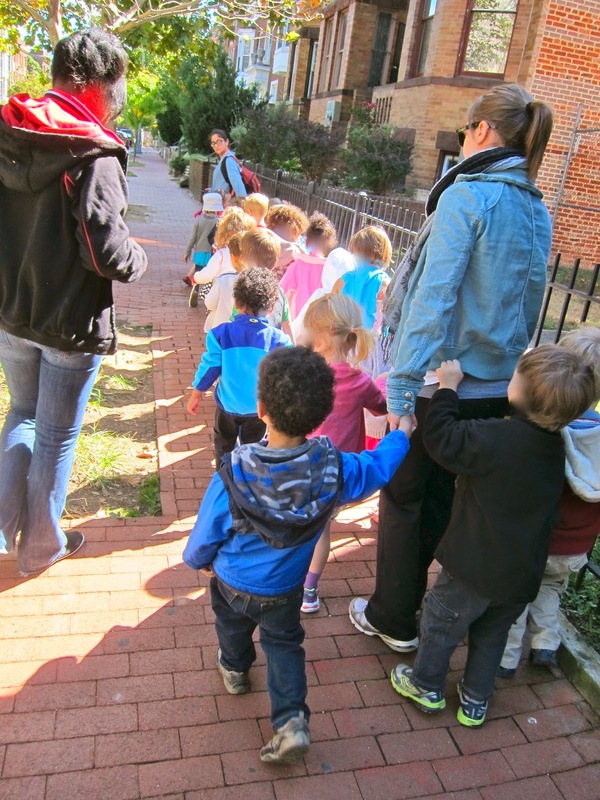 next year - Pre-k - is the big unknown. We are not going to be at the same school?! Our school is moving to a new location. This delights me and terrifies the preschoolers. Things are going to change? Will you be going to the new school, Ms. Ingram? Will Ms. Duskin (our principal) be at the new school? 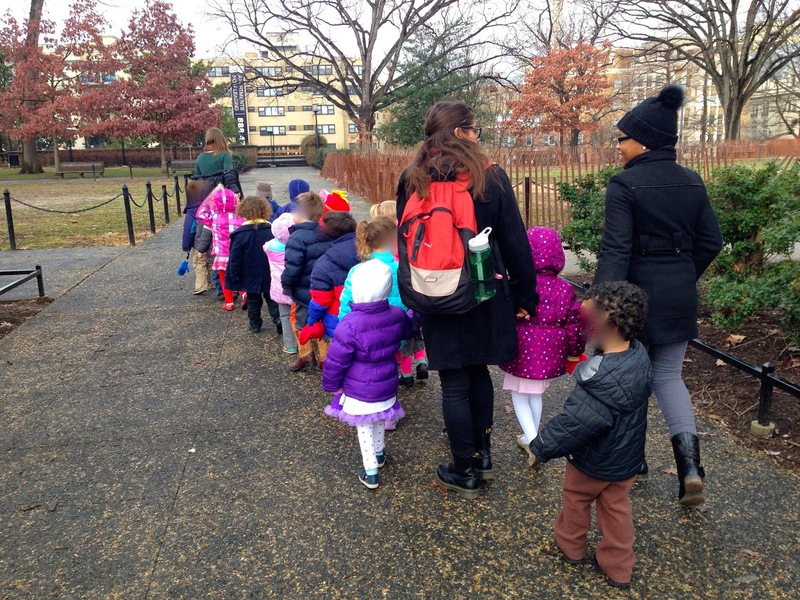 Will there be Zebras and Elephants [our Pre-k classes] at the new school? Ms. Ingram, did you hear there is going to be a new school? Ms. Ingram, why do there have to be new schools? We will watch it decrease in size. We will breathe in, breathe out. We will visit the current classrooms of Pre-k Zebras and Elephants. We will trust that all will be well. Tuesday SOL What can you learn from a sharing ritual? One of our favorite pastimes in the Big Cats is the afternoon "sharing" at our closing ritual. I have a special container that rotates alphabetically through the class; each child uses it to hide a prized possession and the rest of the class asks questions to discover what is inside. Preschoolers love sharing their treasures with one another! Once we make rotate the container through the alphabet, I begin at the top again with another container. Our first share was in an old heart-shaped candy box - "sharing from the heart" and now we have moved onto a special bag. There's also a shoebox, a coffee tin...the containers go on and on! cultivate their understanding of one another - what do their classmates like? Recently, I discovered that this sharing ritual also teaches the alphabet - who knew?! When Charlie discovered that the box rotated from child to child alphabetically by first name, he had a vested interest in knowing the alphabet. He loves that I add a new container when one has completed its rotation through the class; he knows that his letter "C" will come up again and again...and he has figured out our class pattern. "There are FIVE A's in our class, Ms. Ingram - Ada, Akhil, Alyja, Amelie, and Ashley. There is one B - Bernie. Next, it's me, C - but first Caroline and then me, Charlie." Me - "Wow, Charlie - that is great! Who comes next, after you?" Charlie - "Well, there are no D's." Me - "How many E's?" Charlie - "Three - Ellie, Eloise, and Evan." On and on, he worked his way through our class alphabet...amazing me all the way through to Z, Zuren. Tuesday SOL How many more walks do I have this year? - Playground and green space at our school. - Bathrooms in close proximity. - A much larger classroom. When I see the plans for the new school, it is as if a weight is being lifted from my shoulders. I'm not really sure which of these matters most - their importance varies with each week, day, or hour. Right now, I find myself obsessing about next year's playground and green space. Our daily walks on the walking rope have been very difficult. Won't it be so awesome to throw open a door and let the children play? To let the children get their wiggles out, at a moment's notice? the reality is, we still have six more weeks of school. There are still many more daily walks. It has been the best solution for a difficult environment. How to describe the recent walk that did me in? new summer shoes - "larger, to grow into,"
as we tend to the missing shoe. How impossible it is for two dozen small beings to walk so closely and precisely together. calling, "Ms. Ingram! Ms. Ingram! Ms. Ingram!" shouting, "STOP! That's hurting my ears!" jerking the entire rope to a stop. Yes, this was the walk that did me in. I explained that we had to talk about today's walk. First, we did some deep breathing together. "Who felt sad on today's walk?" "What makes us sad on walks?" - when someone keeps singing even when their partner says "Stop!" Me - "What might we do to prevent each of these? Let's take them one at a time and think about them. How can we get along in the community of our walking rope?" everyone is allowed to move freely. Maybe we have to behave differently on the walking rope? 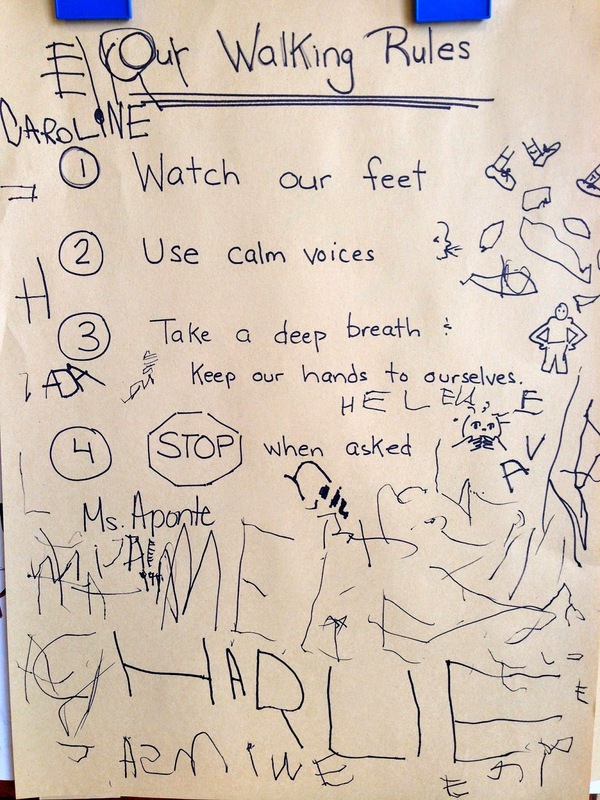 preschoolers began thinking about actions they could each do that would help us all. indicating that they would try their very best on our walk. I love how these preschoolers were able to reflect and suggest changes. the children are noticing helpful behaviors. I love my Mommy because . . .
Charlie – it’s Mother’s Day! Shaan - I love every Mommy! Ellie – she saves penguins! Ian – I love her so much!